BREAKING NEWS:- TAT HIGHER SECONDARY EXAM DATE DECLARED. 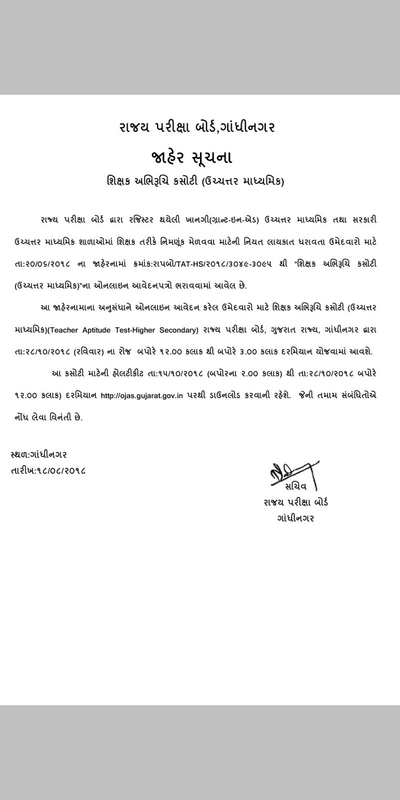 BREAKING NEWS:- TAT HIGHER SECONDARY EXAM DATE DECLARED. EXAM DATE:-28/10/2018. Visit www lrb2018.Org Every Day For The Latest Offers Of Various Brands And Other Technology Updates. 0 Response to "BREAKING NEWS:- TAT HIGHER SECONDARY EXAM DATE DECLARED."